Skeletal muscle is responsible for body movement, ranging from maintaining posture to dancing to running a marathon race. The heterogeneity in size, shape, and arrangement of fibers coupled with a variety of metabolic, contractile, and endurance properties gives skeletal muscle the ability to perform a wide range of functions. Over the years, our understanding of the molecular basis of muscle formation, growth, adaptability, and disease has dramatically expanded. Much of our understanding stems from studies of the pathology of skeletal muscle. To date, 840 neuromuscular disorders have been identified and attributable to mutations in 465 different genes. More genes are expected to be discovered with the advances in molecular diagnostics and next-generation sequencing. 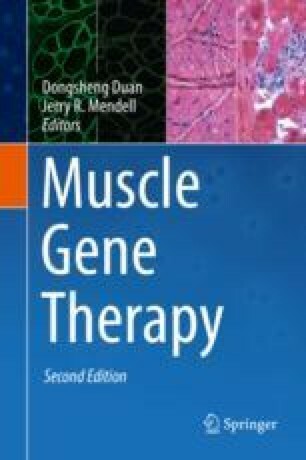 Here we focus on congenital myopathy and muscular dystrophy to highlight our understanding of the molecular basis of skeletal muscle disease. Elucidating the molecular basis of skeletal muscle disease offers the ability to use gene therapy approaches to correct genetic mutations and ameliorate skeletal muscle disease.